Whether enjoyed poolside, at the county fair, or in your own kitchen, frozen bananas really make the perfect summer treat. Rolling them in cacao nibs or coconut flakes only makes this fruity dessert better! Peel bananas and cut in half horizontally. Insert a straw or stick into each half. Place on a baking tray lined with parchment or wax paper, cover, and freeze for 1 hour. 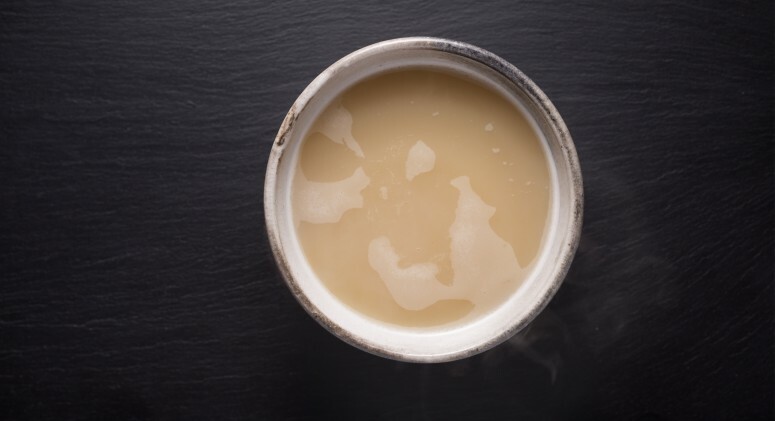 Whisk together the coconut oil with the maple syrup, cacao, vanilla, and salt in a bowl until completely smooth, taking care to break up any lumps. 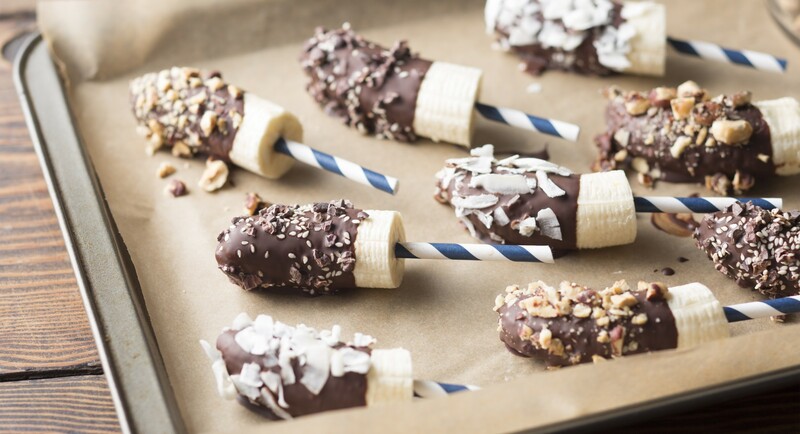 Dip each frozen banana into the chocolate mixture, turning to coat, and place back on lined baking tray. Sprinkle immediately with desired toppings, then cover and let harden in freezer 1 hour before serving.